The energy consumption of industrial vacuum oil quenching furnace is indeed large, as an example of electric furnace, and the capacity of electric furnace is large. An ordinary box-type electric resistance furnace with a power of 30kw, while an ordinary lathe has only 7kw of motor capacity. Some large furnaces have a capacity of several hundred kilowatts, or nearly a thousand kilowatts. The second is the working time of the furnace. Generally speaking, the stove from heat to heat preservation are stretches over a certain period of time, some have to work a few days after blowing in, or even months before it stopped furnace, which is distinct from general cold working equipment of the nature of the work. Industrial vacuum oil quenching furnace tempering in air and aluminum castings, pistons, aluminum and other light alloy machinery quenching, annealing, aging heat treatment of metal parts. The shell plate and steel welded together, by steel and welding steel, soft contact and sand body radiant heat and convection loss, reduce the lining of the trolley car to ensure the sealing box type furnace effectively. Fan and cooling plate, heating element and fan motor electrical appliance chain, only when the blower is connected to the heating element to the power supply, to ensure the heating element in the ventilation cycle. Lining, furnace body parts all fiber, fiber furnace module of the size of the cotton fiber compressed into a vast website, fixed way will wear away any hook screw, evenly XiaoFang a large number of cotton fiber, and then the hook hook after welding the shaw, taut and furnace. 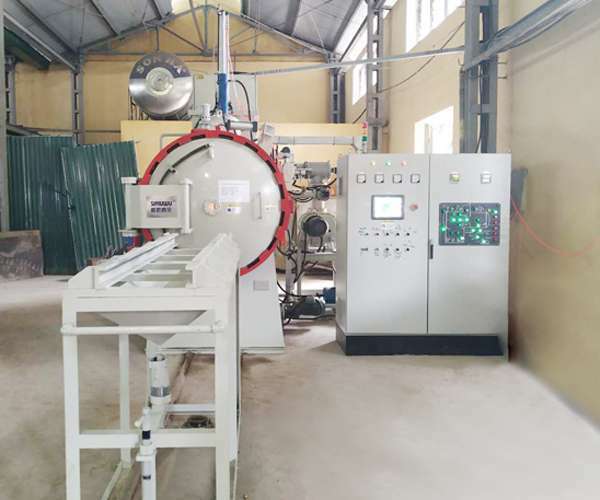 Vacuum oil quenching furnace can heat up, mainly using different energy to transform into heat energy result. Therefore, industrial vacuum oil quenching furnace is the main equipment used in mechanical plant. Industrial vacuum oil quenching furnace consumes a lot of coal, oil, gas and electricity, and the consumption of coke is quite large. In general mechanical factory, the energy consumption of the industrial furnace accounts for about 40% to 60% of the total energy consumption of the whole plant, which can reach more than 80% in the thermal processing plant.